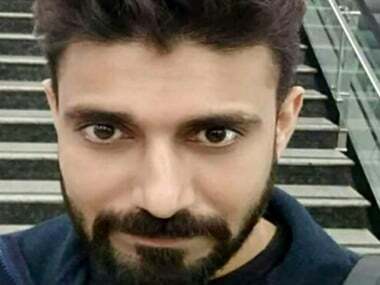 Mumbai: The Mumbai civic body has set up a committee to inquire into the death of a man after he allegedly got sucked into an MRI machine and inhaled the liquid oxygen that leaked out of a cylinder he was carrying. The Brihanmumbai Municipal Corporation (BMC) is also planning to issue stricter guidelines to all civic-run hospitals in view of the incident, an official said. Authorities at the Nair Hospital, where the incident occurred, said they were cooperating with the police in its investigation. Rajesh Maru (32) was killed on Saturday evening when he was yanked into the jaws of the MRI machine and inhaled the gas that leaked out of the container, his family said. Maru was carrying an oxygen cylinder when he went into the MRI room. The police, however, said Maru was killed when he inhaled excessive oxygen that oozed out of the cylinder when he entered the MRI room with a relative, who was there to undergo the scan. A senior official of the civic-run Nair Hospital in Central Mumbai on Monday said the BMC has set up a panel to inquire into the incident. "The BMC administration has set up a committee, headed by deputy municipal commissioner. The inquiry report is expected by next Monday," the official said. He said the BMC will issue stricter orders for hospital staff for handling MRI machines. Nair Hospital's dean, Dr Ramesh Bharmal, said, "It is a tragic incident and we will cooperate with police officials. We cannot make any comments on how the incident occurred as it is under investigation." Magnetic Resonance Imaging (MRI) scanners use strong magnetic fields, electric field gradients, and radio waves to generate images of organs in the body. Metallic objects are not allowed in MRI rooms. As regards the Nair Hospital incident, the patient's family members said they were made to remove all such items, including mobile phone handsets, before going inside. They claimed the ward boy said the oxygen cylinder could be carried in the room as the machine was not switched on. A relative of the victim said the powerful magnetic field of the machine pulled Maru towards it along with the oxygen cylinder. "Maru's hand got trapped in the machine while the opening of the oxygen cylinder snapped. After hearing this commotion, we all rushed inside the room and pulled him out of the machine," he said. However, a police official said the victim, as directed by the doctor, took the patient to the MRI room for the scan. There, an oxygen cylinder leaked. The official claimed that the oxygen was in liquid form which is poisonous and the victim inhaled it in an excessive amount and died on the spot. The police booked three staffers of Nair Hospital for culpable homicide not amounting to murder and arrested a doctor and a ward boy.